Benefit from the Internet and a strong buyer community for your wholesale purchasing. Easy, fast and safe with a big selection and the best prices for your customer. through the central order processing with many advantages for suppliers and buyers from all over Europe. where else do you have a summary of thousands of offers from all over Europe that you can order 365 days a year and in short-term. Bestseller rankings, product recommendations and popularity indexes show trends from which you can only benefit. 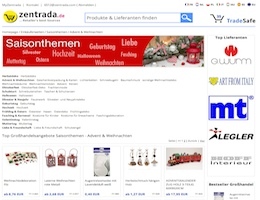 You can only reach nearly 100.000 commercial members with interest in the topics Home & Living and Giftware european-wide through the Internet and the zentrada.network. 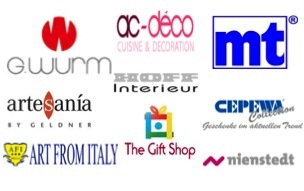 European-wide promotion and distribution channels with our order platforms, news services and service teams in 8 countries. No financial risks and fixed costs. Easy weekly revenue billing and out-paying.